Just recently (and I mean very recently) I became a fan of whiskey. I love that I can sip it slowly and feel incredibly grown up. I like it without accoutrements – no soda, ice or water for me. I like my whiskey neat. Being new to whiskey, I’ve only had a few brands, and have considered them drinkable. I like Jameson, it works for me. I will drink Jack Daniels, but only if that’s all that’s available. I prefer, when available, whiskey from small batch distilleries where I can read the stories of the people behind the amber-hued spirit, and learn what the company is about. I had heard soft, drunken mumblings about Stranahan’s: “It’s Colorado Whiskey! As a Colorado girl, you should love a Colorado whiskey!” I did a little research. Not a lot. Just enough to find out that it was a ten minute drive from my home in Washington Park, and I could convince a co-worker to tour the place. The tours are free. “You get to see how they make whiskey!”, was my argument for why he should be interested and willing to come pick me up and drive us down there. It worked. – I like it. A lot. After our tour, we were given samples and led through a guided tasting of the whiskey. If you’ve never done this, I encourage you to do so! It’s an amazing experience and beneficial to have an expert walk you through the finer nuances of whiskey. We signed up to be volunteer bottlers. “What’s a volunteer bottler?” you ask. Why, it’s like winning the whiskey lottery for a day. You get called (emailed) and report for duty for a 5 hour shift during which you bottle the whiskey. You’re not paid, per se, but you do get a 750 ml bottle of Stranahan’s Colorado Whiskey for your troubles. The nice folks at Stranahan’s also feed you. We started at 8:30 this morning, and Jake, the head distiller walked us through the process. Volunteers get to try almost everything, except fill the actual bottles, that’s done by “Charlene”, a filing machine manned by a Stranahan’s distiller. We corked the bottles, affixed labels, attached caps, shrink-wrapped seals, and packed up the filled bottles to be sent to distributors. 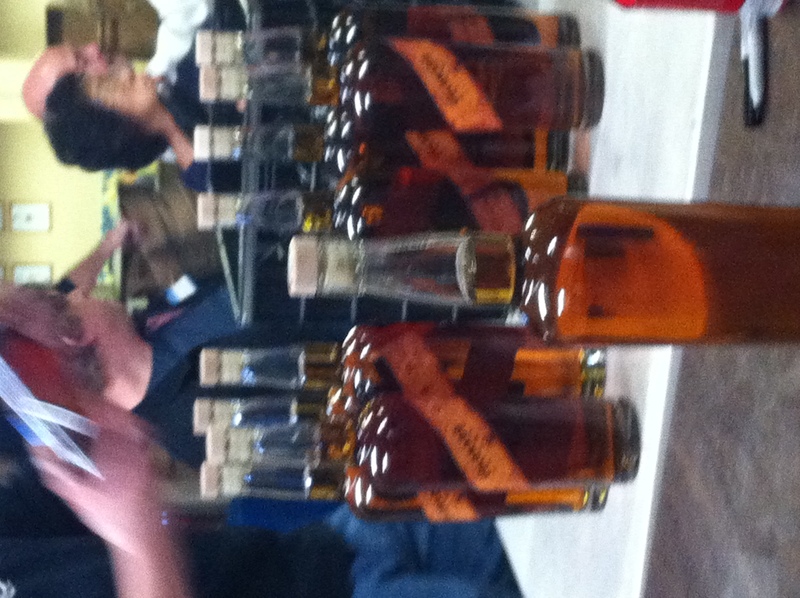 Our team of 20 bottled 2500 bottles of whiskey in three and a half hours. “Listening to DeVotchKa” (my favorite Colorado band! ), “Reading The Fountainhead” and “Listening to ‘This American Life’”. I love picturing these men in the distillery, just waiting for the whiskey to move on to its various stages, while reading, listening to music, or watching South Park. Go see what’s out there. You won’t always get the chance to meet the people who bottle your whiskey, grow your tomatoes or break down your beef. But if you have the chance, why not take it? The relationships you can build with those individuals are tremendous. 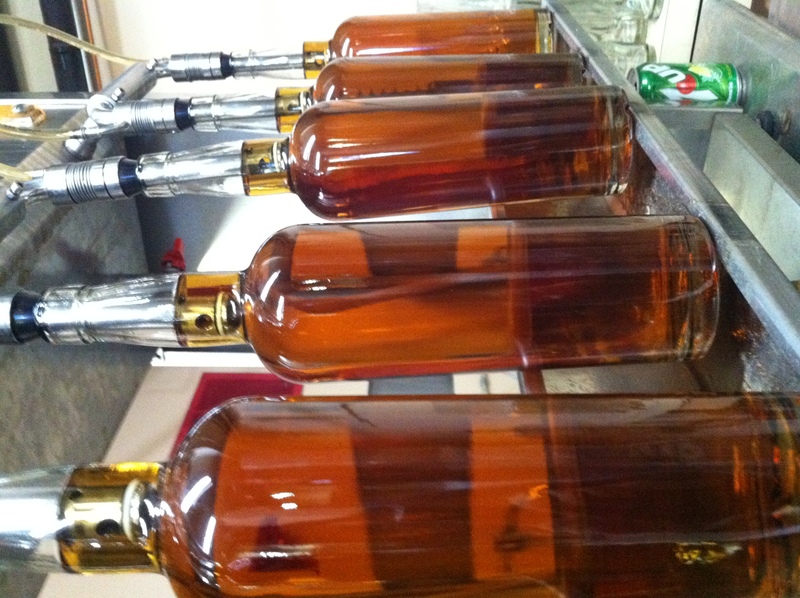 And if you have the chance, go work at Stranahan’s for a bottling. Sign up here. My bottle, which I have still not opened – I’ve only had it in my possession for eight hours – has “Listening to Johnny Cash” written on it. I did hear “Ring of Fire” today, so it seems apropos. 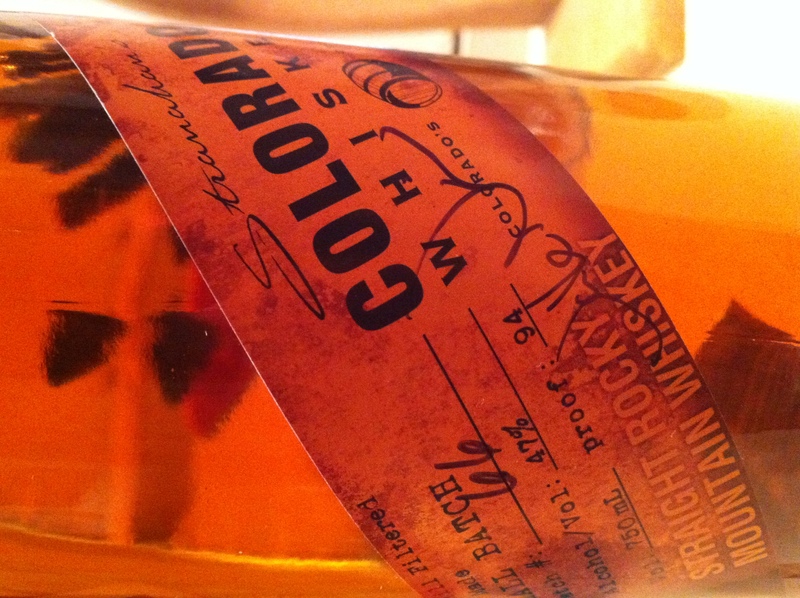 Go check out Stranahan’s Colorado Whiskey for yourself. Straight Rocky Mountain Whiskey. Head Distiller Jake signed my label. Nice guy!